Andra returns to the city, bearing Abreotan’s fabled weapon, hailed as the one prophesied to defeat the Dragonlord, and the Kingdom’s hopes for defeating Mareg the Dragonlord are high. But A Ahmud Ki has darker designs for the new king. He enthrals Andra, and uses him as a tool to increase his personal power, while he transforms into a new variant of the Dragonlords and takes revenge on the Aelendyell who he has despised for years. 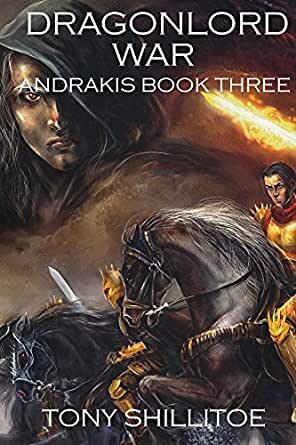 Caught in the epic struggle between the old Dragonlord and the new one, Andra’s friends search for a way to free him from A Ahmud Ki’s thrall, willing to sacrifice themselves to ensure the ancient prophecy foretelling the Dragonlords’ fates is fulfilled.